Blount Fine Foods is committed to excellence in all areas of our business, including Environmental Sustainability. We are dedicated to protect our natural resources and we employ significant “Three R” (reduce, reuse and recycle) programs, which are directed by our corporate engineering team, and are supported by associates at every level of our company. We have made major improvements to reduce our energy, gas, and water consumption, and we have installed high-efficiency refrigeration, high pressure steam systems, and advanced food production equipment and controls. We work continuously to reduce waste at the source. We engineer all of our new products to minimize waste, and emphasize the use of recyclable packaging materials. Recycled over 340 tons of cardboard and paper. Blount energy management programs have installed variable capacitor banks, highefficiency lighting systems, solar power, and variable speed drives (VFDs) that are now providing energy savings totaling over 425,000 kWh, per year. During this past year, our energy savings and pollution prevention programs have improved the environmental impact of Blount operations by reducing greenhouse gas (including carbon dioxide) emissions by more than 300,000 lbs, annually. 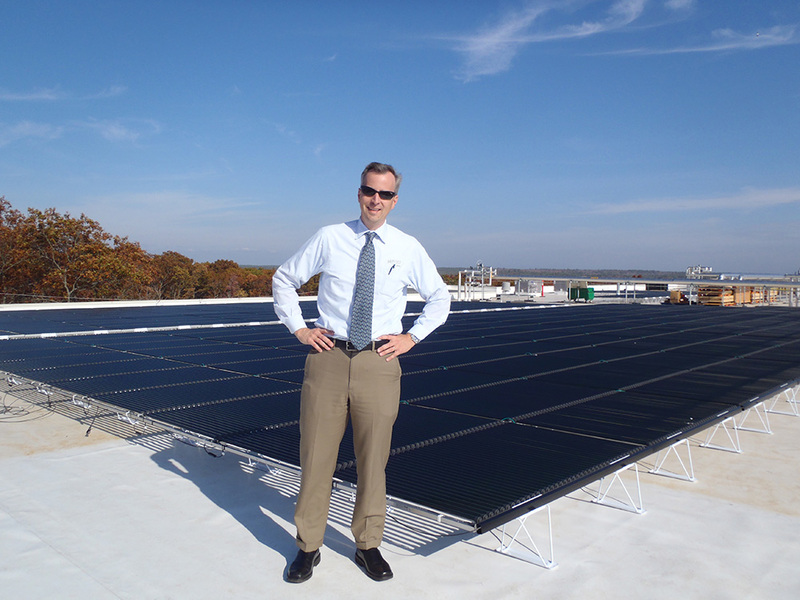 2017 marked the fifth year of operation for our 100 KW renewable energy solar system, and our solar field is now a major source of emissions-free energy to power our Fall River gourmet soups and sauces manufacturing operations. During the past four years, we have generated over 350,000 kWh of solar power. We continuously evaluate our corporate sustainability programs, and implement appropriate state of the art technology, to improve the environmental results of all of our Blount Fine Foods operations. We perform combustion gas analysis to optimize, and reduce emissions from, our process steam boilers systems. We employ predictive maintenance technologies, including infrared thermal imaging, oil spectral analysis and equipment vibration monitoring to ensure peak equipment performance. We have installed biological reactors to naturally remove biological oxygen demand (BOD) from our wastewater effluent streams. Also, we have a policy of sharing the technology of our proven successes with our customers, vendors and our other food industry partners, to maximize our collective benefit to the environment.